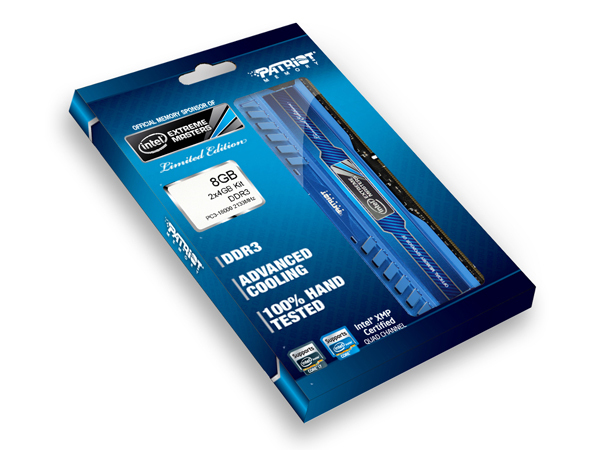 Think Patriot's limited edition Intel Extreme Masters memory is the perfect match for your new Ivy Bridge build? Then we've good news, as we've got 10 kits up for grabs! Built exclusively for gamers, the Intel Extreme Masters Limited Edition memory is designed to provide "the rock solid performance and stability needed for today's most extreme gaming systems." Touting high speeds, tight latencies and tall heatspreaders, the XMP-certified modules are a great way to eke out every last drop of performance from your Intel Core processor. And it gets better, our prizes are each 8GB in size (2x4GB) and set to run at a silky-smooth 2,133MHz! Sound good? Then answer the question below or enter via our dedicated Facebook competition page. And don't forget - you can enter using both methods to get a free second entry and increase your chances of winning! Samsung intros HBM2E for data centres, graphics, and AI DRAM price decline will slow in Q2 says Nanya Technologies Intel Core i5-9400 PC Specialist Vortex S1 Has Samsung been chosen for Intel Xe GPU manufacturing?